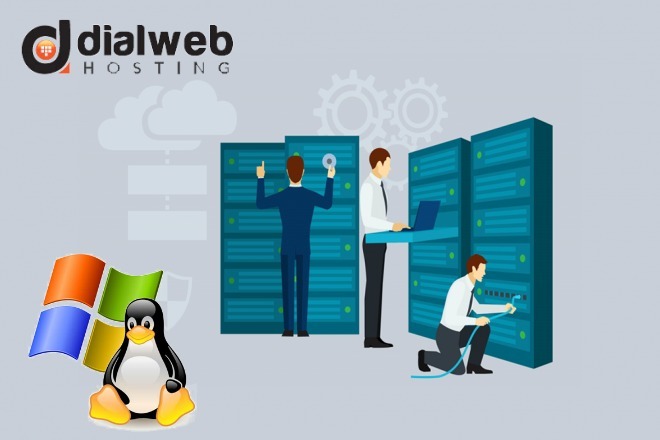 In the domain of web hosting services, a dedicated server hosting is considered as the epitome of hosting, since the users of dedicated hosting do not share any of the resources and the server with anyone. It is the purest and the most exclusive forms of hosting. For beginners, website hosting usually starts with shared hosting, where a web server and all its resources are supposed to be shared with multiple users. In a more refined version of VPS hosting, website can enjoy great autonomy on a portion of server to exploit allotted resources. That brings us to dedicated server hosting, the most independent and autonomous type of hosting. It is the most preferred type of hosting by big online organizations and corporate companies that need isolated and extremely secured environment to operate mission critical applications. Complex and multi-faceted applications have become indispensable in running online businesses. Such applications require intricate infrastructure for executing high-end networking and storage objectives. Dedicated server can facilitate required computing resources for such applications. Users are at full liberty to choose their own software and hardware for configuring their dedicated servers. This ensures that every business using this option is able to have totally customized server that caters to unique business objectives. Many small and large organizations are moving to managed dedicated hosting due to the fact that in-house server management requires high standards of technical resources including infrastructure and technical manpower. It is also worth noting that organizations are able to reduce huge capital expenditure and utilize skills of their IT staff for more productive functions such as new projects and so forth. While searching for an ideal host for your dedicated server hosting, you should assess the technical support and monitoring capabilities of the host. In addition to this the host should have support of own data center that conforms to Tier III specifications. Users should also check the specifications of bandwidth RAM, and disk space before finalization of dedicated server hosting plans. These specifications should be able to cater to present and future requirements of business. Intense and business critical applications need incessant up-time and stringent protection from malware and virus threats. Hence the service provider should be in a position to offer superior protection and guarantee of 100 percent SLA backed uptime. Users of dedicated hosting are able to execute their own access control strategy by implementing customized firewall applications. Leading service providers offer guaranteed SLA for consistent performance monitoring and help clients choose the right configuration of their dedicated server. The most important aspect of managed dedicated hosting is the ability of host to offer superior technical support via multiple modes of communications such as live chat, helpdesk, e-mail, and telephonic communication. Professionally qualified teams of trusted vendor are available round the clock for assured and expert technical assistance. Your business can experience greater online visibility with higher search engine rankings due to outstanding website performance backed by dedicated server hosting provided by trusted vendors.